How Long Does an Exhaust Gas Recirculation (EGR) Valve Last? With society being much more conscious about the environment and leaving as little footprint as possible, the exhaust gas recirculation (EGR) valve is more important than ever before. This little valve is responsible for single-handily bringing down the amount of exhaust emissions your car expels from the tailpipe into the atmosphere. The valve makes it possible to recirculate the engine gasses by putting them back into the intake manifold. At this point the engine burns them again, so there are no emissions to worry about. Typically if your vehicle has been made in the last two decades, it is outfitted with an EGR valve. While there is no set mileage that it should be replaced, it is important to check that it is in good working order. It is suggested that every 50,000 miles you have a carbon cleaning done, which is an air induction. This will clean out any carbons and sludge that is building in the air intake system and the engine. Once your EGR valve dies it will begin to affect your vehicle in a variety of ways, so it’s good to know what signs to watch out for. You may start to notice a sudden loss of power. This can be quite dangerous if you are in the middle of driving. 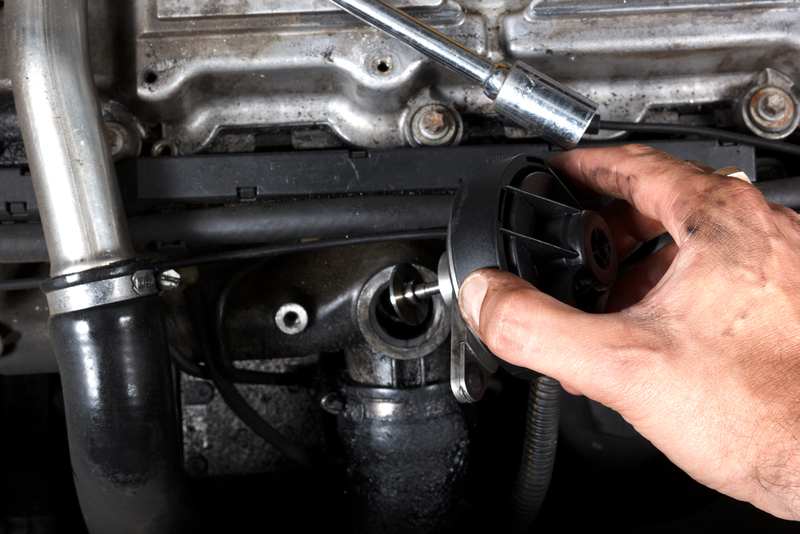 If the valve is stuck, it can result in the car not running smoothly. It may feel as though it is about to stall, it can stumble, and even shake. If you have tried to pass an emissions test recently, only to have your vehicle fail, that can be due to a faulty EGR valve. Once it is replaced, you should be able to pass the test. Your Check Engine Light may come on since the engine is not operating as it should. This light can come on for all different reasons though, so it's important to have a professional mechanic read the codes and determine the actual cause. The EGR valve is involved in making sure that harmful gasses don’t escape from your car and enter the atmosphere. When this part dies your car won’t be able to run as smoothly, and you may even fail an emissions test. If you’re experiencing any of the above mentioned symptoms and suspect your exhaust gas recirculation/EGR valve is in need of replacement, get a diagnostic or book an exhaust gas recirculation/EGR valve replacement service with a professional mechanic.